Valuations for ISV platforms with payments integration, and payments processing companies which have vertically integrated high margin, high growth software platforms with measurable EBITDA contribution, are on the rise. The level of M&A activity for both is striking. But beneath this synergistic rapture and its intoxicating boon to valuations lies a fascinating phenomenon which bespeaks a calculating power play between ISVs and payments processors for the keystone to their shared windfall: the end-user relationship. Often overlooked in the short term, day-to-day operations and the longer term, go-forward strategy, the nature of the relationship with the end user for both payments processors and ISVs is one of the most important aspects of both platforms as a key attribute of enterprise valuation. From the inside looking outwards, ownership of the end user relationship may seem inconsequential, and it surely is if your business outlook is decidedly short term. However, in the context of a business’ long term outlook, where an owner/operator is planning on exiting on a three, five or seven year time horizon, the nature of the end user relationship is anything but inconsequential. Payment processors interested in acquiring ISVs to vertically integrate their much needed value added products and services want to acquire a client base that serves only one master, the ISV. If a different payments processor is capturing the existing payments business of that ISV, and doing so with a contractual relationship directly with the end user, then that, in most instances, is a non-starter; the strategic interest of the acquiring payments processor surely contemplates capturing the payments revenue in addition to the software. 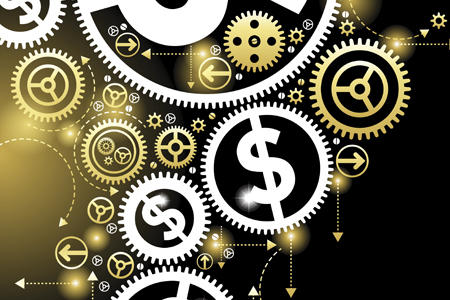 ISVs looking to acquire payments processing companies have a similar perspective. By way of example, let’s say your software platform provides content management solutions for municipalities and you find a recurring billing and payments processing company to acquire that’s currently acting as a standalone, third party payments provider to multiple municipalities. This payments “tuck-in” acquisition would help flesh out your existing service offering. Wouldn’t you want to make sure the acquisition target had direct contractual relationships with the municipalities it served? Think about the implications if it didn’t. If the strategic value of the acquisition was based on both the additional technology (recurring billing and payments processing platform) and payments processing revenue from the client base, then not having the end user locked-in would be a deal killer. It’s simply too risky. Payments processing companies are acquiring ISVs. ISVs are acquiring payments processing companies. Their respective strategies are sound — the market has proven this as valuations for both have risen upon the execution of these strategies. But the savvy companies that are actively seeking these acquisitions know that, unless the contractual relationship the target company has with its customer base is strong, by way of preventing the end user from easily switching to another provider for the same product or service, then the acquisition, in most cases, doesn’t achieve their strategic objectives. The stage is set. What’s beginning to play out in the marketplace is a silent power play between both payments processors and ISVs rushing to re-evaluate and restructure their relationships with their end users so that they can capture the value being afforded to them by strategic acquirers. This power play will have winners and losers (from an M&A perspective). Though not a reason for an owner/operator of a payments or software company to panic, it should nonetheless compel the same to reassess how strongly the company’s end users are bound to the company. Adam T. Hark is Co-Founder of Preston Todd Advisors. Specializing in payments, payments technology, and FinTech, Adam has be advising clients in M&A, growth strategy, exits, valuations and contracts for over a decade. Adam T. Hark can be reached at adam.hark@prestontoddadvisors.com or 617-340-8779.